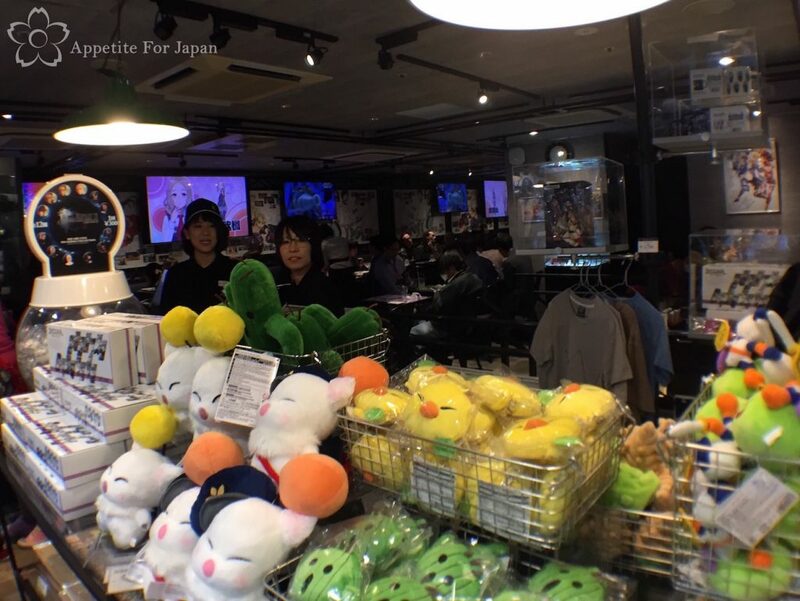 The Square Enix Cafe operates very similarly to Eorzea. Customers are seated in 90 minute sessions, at the start of which a staff member will explain to everyone how the system works, what is on the menu, etc. It’s important to get there on time (and by that I mean at least 10 minutes early) as you don’t want to miss out on the start. Don’t expect to be able to walk in and get a table – it’s best to make a reservation in advance, although depending on the day, you may be able to turn up first thing in the morning and make a reservation for later that day (I wouldn’t count on this working on the weekend, though). Like Eorzea, the names of the food and drinks on the menu are inspired by the cafe’s current theme. 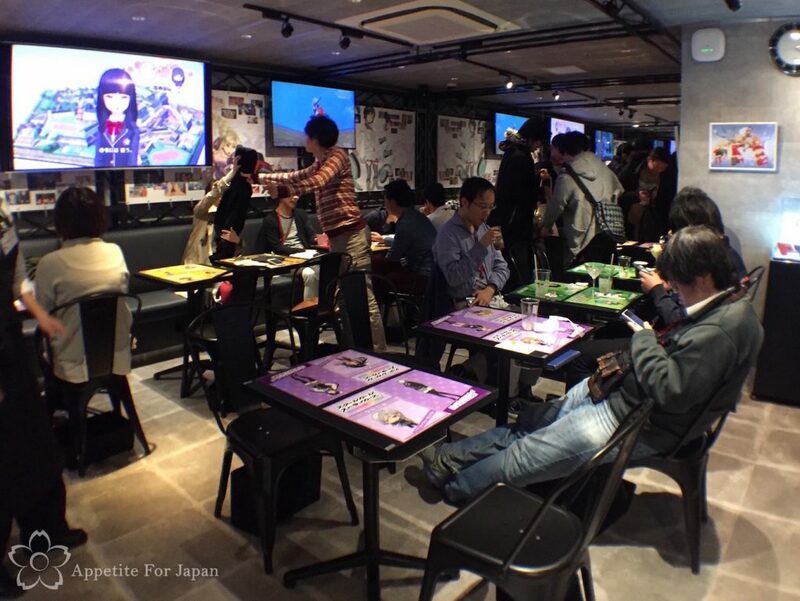 Once again, just like Eorzea, customers are more than welcome to take plenty of photos, but videos are prohibited. That being said, Eorzea looks better theme-wise (and has bigger, more comfortable tables), but that’s probably because the theme never changes. 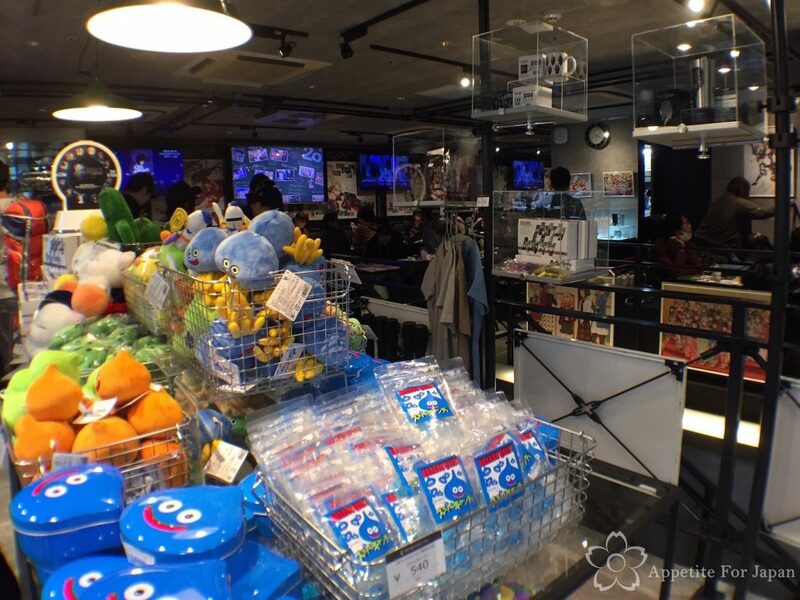 Both cafes are a collaboration with entertainment company, Pasela, which is known for its karaoke and restaurant chains (and its famous honey toast – we tried that at Eorzea). Yes, the Square Enix has a lot in common with Eorzea, but there are some notable differences. 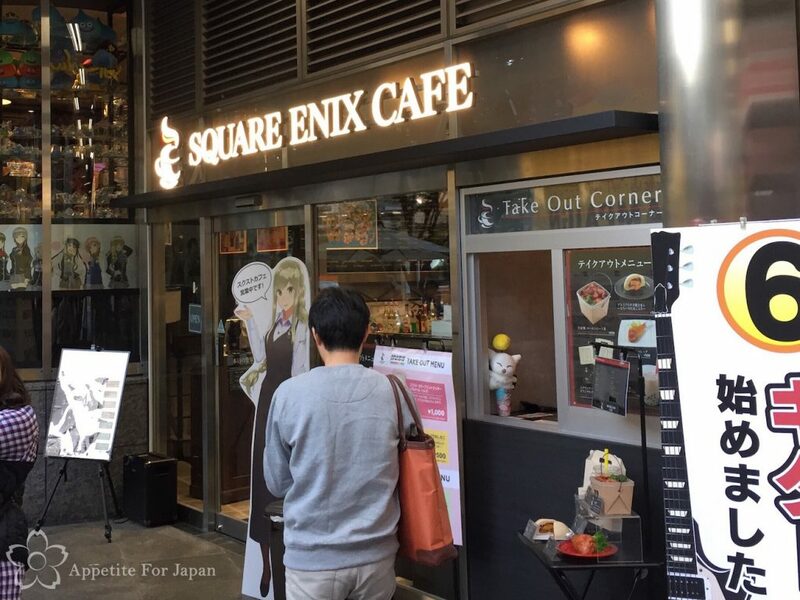 Eorzea is good if you’re into Final Fantasy (and in particular, Final Fantasy XIV), but the Square Enix Cafe has a few advantages if you have a broader interest in the Square Enix. The revolving theme means that depending on when you visit, the focus will be on a different game. 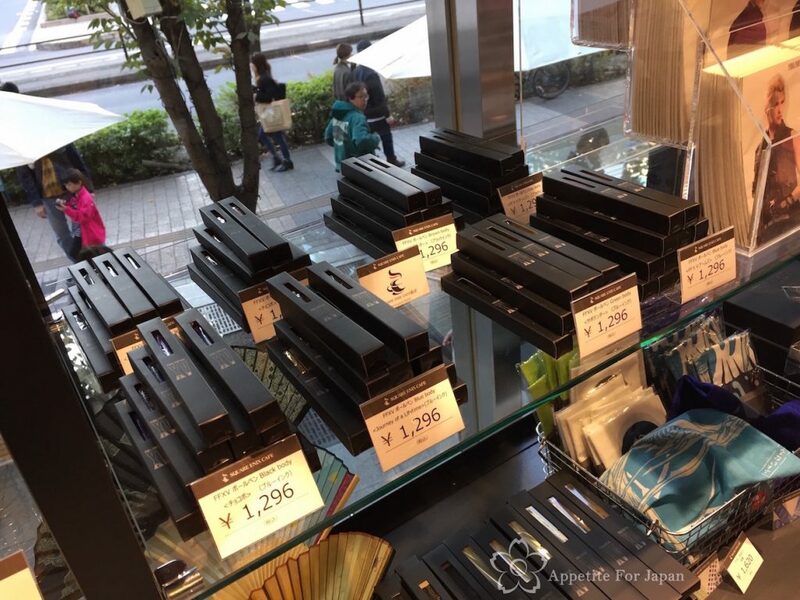 There’s also a store, so you can purchase a range of Square Enix goods, some exclusive and/or limited. Last but not least, there’s also a take-away (take-out, for my American readers) corner where you can buy snacks, coffee and a selection of other drinks. There are several ways to reserve a table at the restaurant. As mentioned above, if you arrive when they open, you might be able to book a table for later in the day. 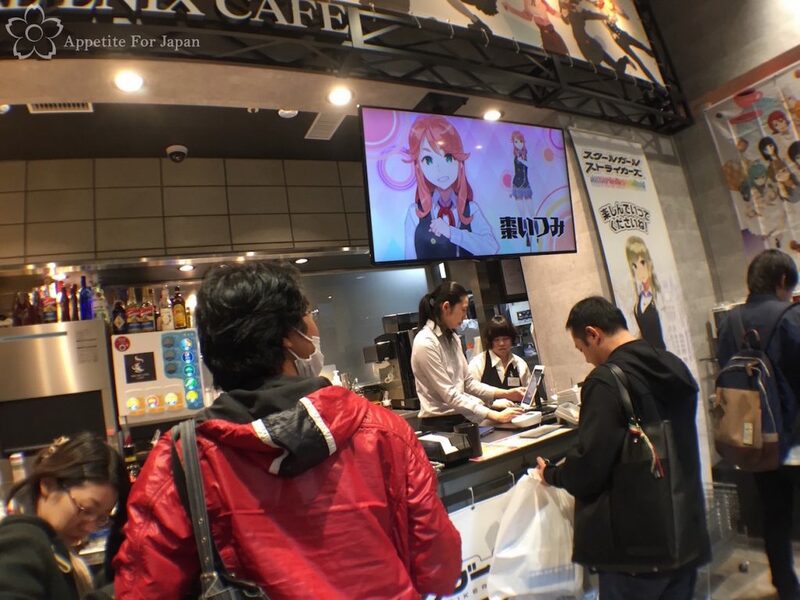 Otherwise, you can make a reservation via the Square Enix Cafe website (Japanese language only), or through the convenience store chain Lawson’s booking website (note that you’ll be charged 500 Yen per person). 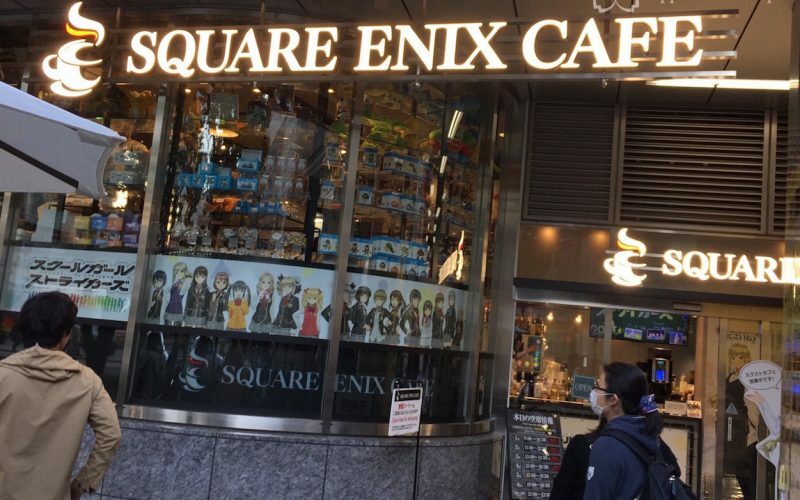 The Square Enix Cafe Tokyo is just over a minute’s walk from Akihabara Station. 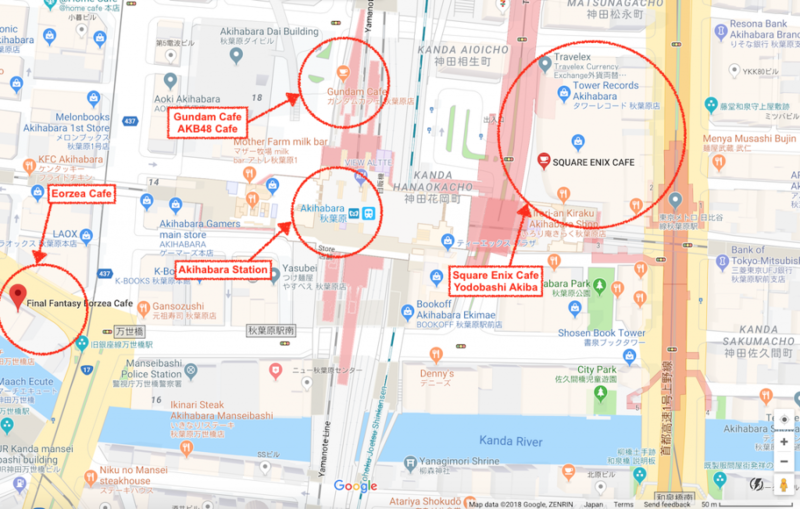 Above: Thanks to Google Maps, I’ve marked Akihabara Station, Yodobashi Akiba and the Square Enix Cafe on a map of Akihabara, along with a few other eateries of interest, which are all within walking distance: Eorzea, the Gundam Cafe and the AKB48 Cafe. 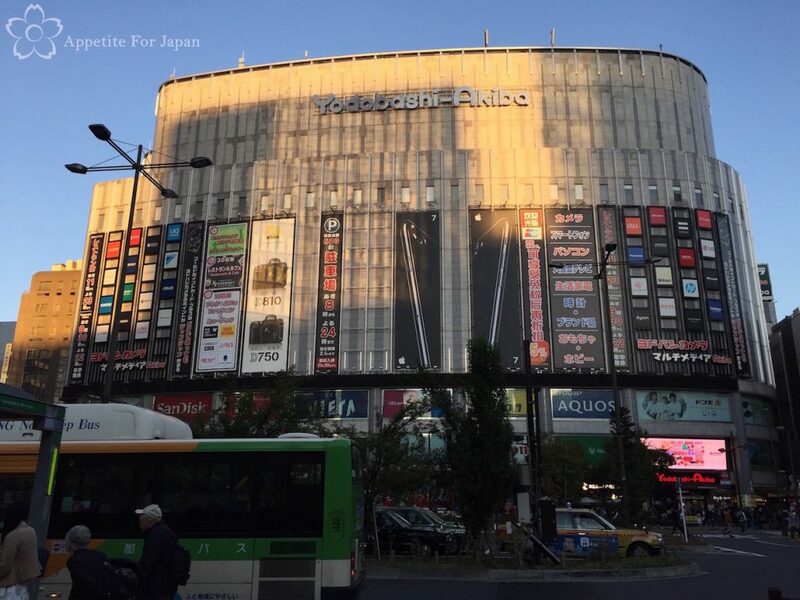 Above: This is the Yodobashi Akiba building. 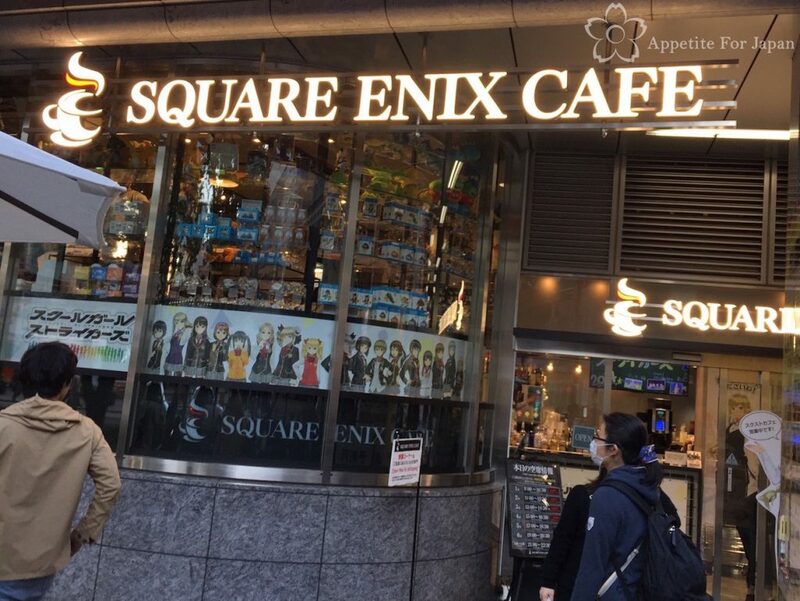 Although you can’t see it in the photo (it’s basically underneath the Aquos sign to the right), the Square Enix Cafe is on the the first floor of the building, which is at street level.